This elegant pendant necklace is from the Roberto Coin Symphony collection. 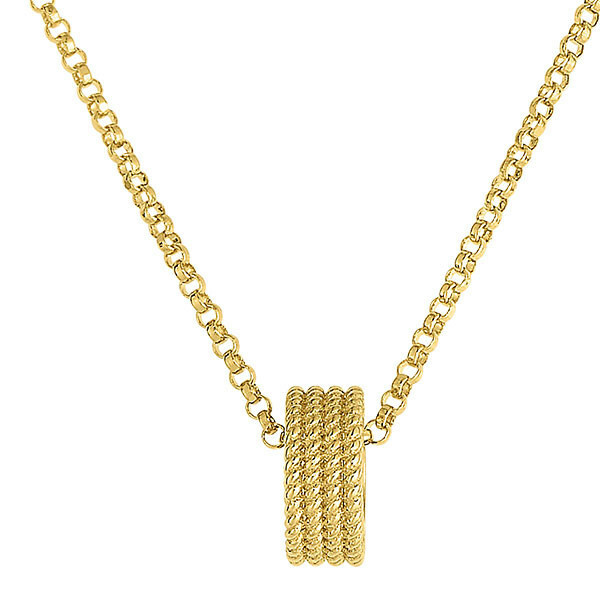 Crafted in 18kt yellow gold, it was inspired by the designer's woven Barocco collection. A braided rondel rests on a visually interesting open link chain, working in perfect harmony. 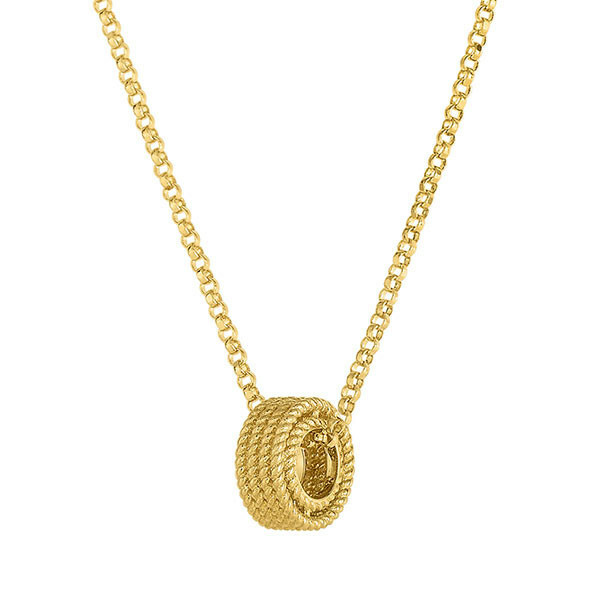 This Roberto Coin pendant is a piece of jewelry to take note of!